To become a physical therapist, she traveled 10,020 miles round-trip for 7 years. Her partner stole from her as a new business owner. 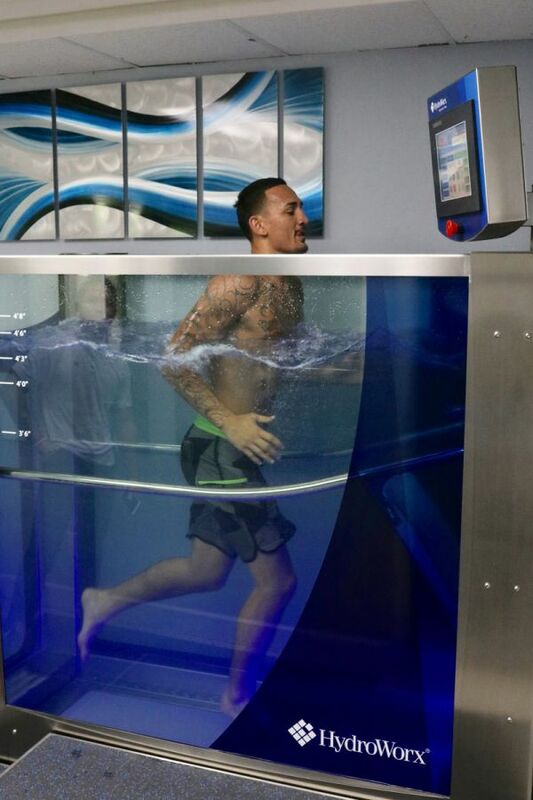 She’s pioneering aquatic therapy in Central O’ahu. Her name is Julie Moon and in 2004, she started Moon Physical Therapy, determined to provide cutting edge care for her patients and hopefully never work for an employer again. Julie was born and raised in Wahiawa, Hawaii. She ventured all the way to Denton, TX for her bachelor’s degrees from Texas Woman’s University, then to American International College for a second bachelor’s and a master’s degree in physical therapy. Moon became acquainted with the power of aquatics when she interned in Honolulu with, then worked for the father of aquatic therapy in Hawaii, Dr. Jan Prins. After an adverse experience with her next employer, Moon branched out on her own, having been out of school for just three years. She opened a tiny clinic with two friends and began treating a handful of patients. Young, broke, a lease to pay, overwhelmed. But determined. 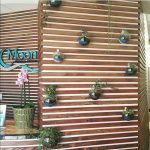 Together with an admin staff of one, Moon worked hard just to get her name out, collaborating with physicians to build her reputation as the go-to place for aquatic therapy. 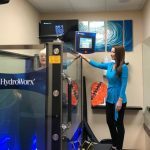 Now 15 years later, Moon has two locations and three HydroWorx 350 units. 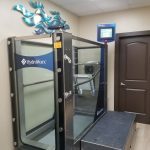 “We offer a lot of therapy options in our clinics, including infrared, cold laser, ultrasound and manual therapy, but the water is the most integral part of our practice. Our patients seem to have gone everywhere, tried everything before coming to us. They find relief and healing in the water. Moon PT has found a special niche in treating cardiopulmonary patients with water. One patient, who suffers from postural orthostatic tachycardia syndrome (POTS), experiences heart rates that jump from 70 BPM to 200 BPM in seconds. Many times, these sudden spikes result in the patient fainting. Exercise decreases symptoms of POTS’, but, for obvious reasons, a taxing workout is difficult to achieve; on land, anyway. Julie and her staff of (now) 12 are busy designing a marketing plan to outreach to doctors in Mililani, knowing when physicians from this side of the island catch wind of the aquatic wave, they’ll want in.